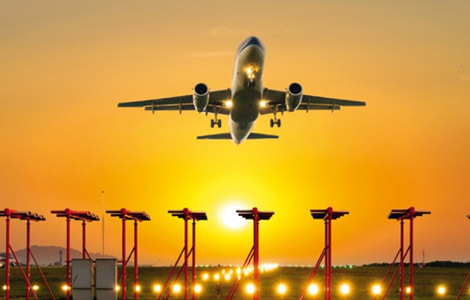 Arrive at Istanbul Ataturk or Sabiha Gökcen Airport. Intercontinental Bosphorus suspension bridge crossing to the Asian side of Istanbul. Continue to Bursa. During the 3 hour journey we will ride a ferry across the Sea of Marmara. City tour in Bursa. 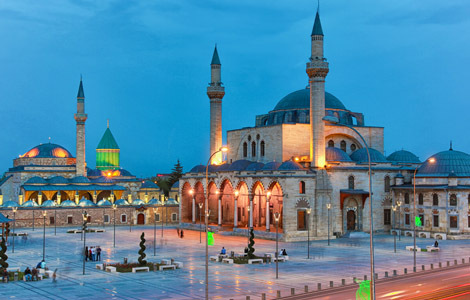 Visits include the Grand Mosque (Ulucami), Bazaar, Silk Market (Kozahan), Green Mosque and Mausoleum. Dinner and overnight at the hotel in Bursa. 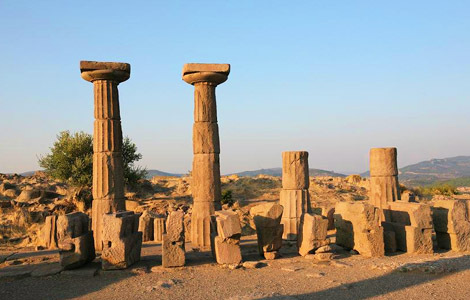 Visit the ancient city of Ephesus. Highlights will be the Odeon, Celsus Library, Hadrian’s Temple, Trajan’s Fountain, the Agora, the Scolasticia Baths, the Marble Street, the amphitheater with its 25.000 seating capacity and the Arcadian Way leading down to the port which is now silted up. Following a leather products show transfer to the hotel in Kusadasi. Dinner and overnight at the hotel in Kusadasi. 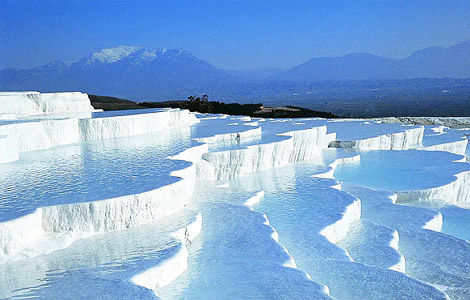 of Pamukkale (Cotton Castle) and the surrounding ancient Roman city of Hierapolis with its Roman baths converted to early Christian churches, the amphitheater, the Martyrium of St Philip and the extensive necropolis featuring the various architectural styles of ancient Asia Minor. After the tour transfer to the hotel. Dinner and overnight at the hotel in Pamukkale. Depart for Konya where we visit the Mevlana Museum. The 13th century sufi leader was the founder of the Mevlevi Order known for their Whirling Dervishes ceremony. reaching Cappadocia and visit the Sultanhani caravanserai. Dinner and overnight at the hotel in Cappadocia. 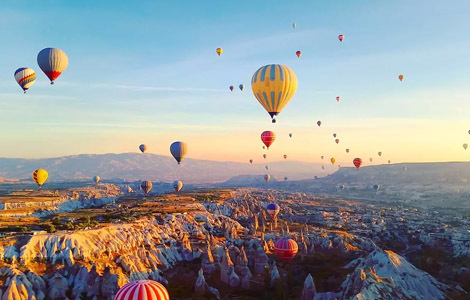 Optional Hot air ballooning flight for 1 hour with transfers 230 $ per person After early breakfast at the hotel we have full day Cappadocia tour. Kaymaklı Underground City, one of the largest underground cities in Cappadocia, troglodyte cave- cities were excavated as early as Hittite times, and expanded over the centuries as various marauding armies traversed Central Anatolia in search of captives and plunder. You will get a chance to see bedrooms, kitchens, dining halls, wine cellars, chapels, stables and more. City tour in Ankara Anitkabir - the Mausoleum of Mustafa Kemal Atatürk (founder of the Republic of Turkey, 1881-1938). 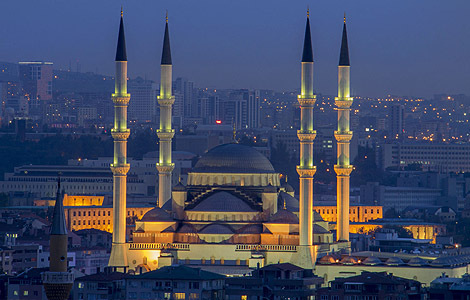 A short drive will introduce you to the capital of Turkey the Turkish Grand National Assembly and the Ministries. Lunch at a local restaurant. Continue to Istanbul. On arrival transfer to the hotel. Dinner at the hotel restaurant. Full day guided city tour with a visit to the main historical center of Istanbul, Sultanahmet with its Roman, Byzantine and Ottoman monuments. 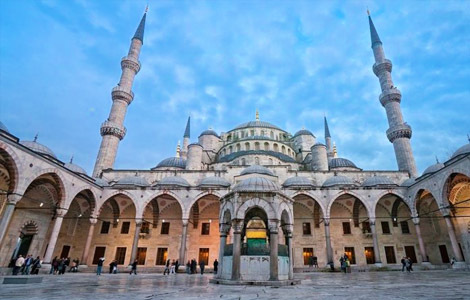 The monuments to be visited are the Blue Mosque, Roman Hippodrome (Obelisk of Theodosius, serpent column, brick column, Kaiser Wilhelm II fountain), the Hagia Sophia, the Topkapi Palace with its Treasury and Sacred Trust sections. Lunch will be served at an Indian restaurant. Afternoon visit the Grand Bazaar and Spice bazar. Shopping for local handicrafts at reputable shops. After the tour return to the hotel. Dinner at the hotel restaurant. Start with a visit of the Eyup Al Ansari Mosque. 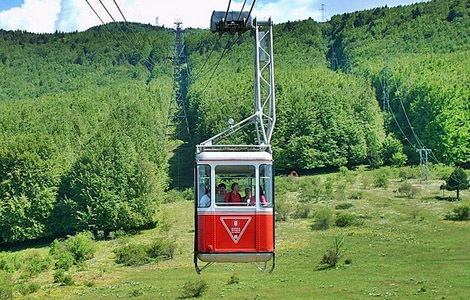 After then Use the short ride of the cable car up the Eyup Hill. Visit the famous Pierre Loti Café named after the well-known poet and author who was enraptured by Istanbul. 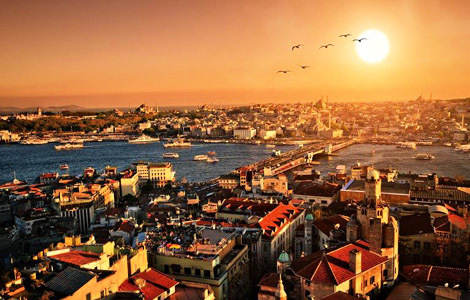 Enjoy the panoramic view of the Golden Horn and the outlying historical city. 1 glass of tea is served. Transfer to Bosphorus Cruise, Here, you will be able to soak in the sights and sounds of Turkey’s Asia and Europe sector as you cruise through this water channel that is the very beat of life in Istanbul. Witness the magnificent architecture of the buildings along the river and the interesting activities of our local people. We will get very chance of taking photo of Rumeli Castle and Anatolia Castle build by the conquerer of Istanbul in 1453 and Drive to Taksim Squre after the Finishing The Tour Evening Drive to The Resturrent for the Dinner . Near Old Bus Stand , Kormath Building Court Road Manjeri, Malappuram Dt, Kerala, India. Copyright © 2017 by Al-Hijaz Tours & Travels. All rights reserved!